The Silicone Card Wallet with Finger Loop sticks to the back of most flat backed smartphones in order to conveniently hold your credit cards, license or cash. The custom card wallet has enough room to allow you to hold two cards or IDs. The added bonus of this promotional item for you phone is the finger loop which makes it easier for you to hold your phone. We will cover the cost of a one color imprint, setup and ground delivery to the lower 48 states. 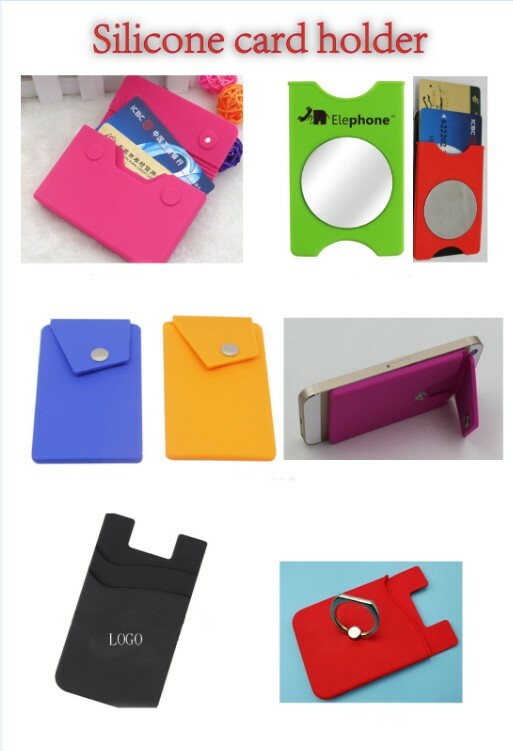 Smartphone card holders are popular as corporate gifts or for employees on the road. Size : 21 5/8" x 2 3/4"
Imprint Size : 1 1/8" x 1 5/8"